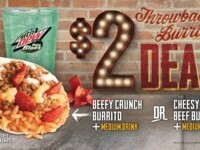 Beefy Crunch Fans, the long await is over. 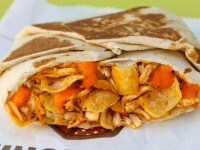 The Beefy Crunch Burrito was first introduced in 2010 and has been back a couple of times since then, always for a short time. 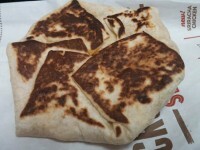 The main appeal is the amount of deliciousness wrapped in a tortilla for just $1. The Beefy Crunch Burrito contains ground beef, seasoned rice, sour cream, nacho cheese sauce, and most importantly, the Flamin’ Hot Fritos corn chips. 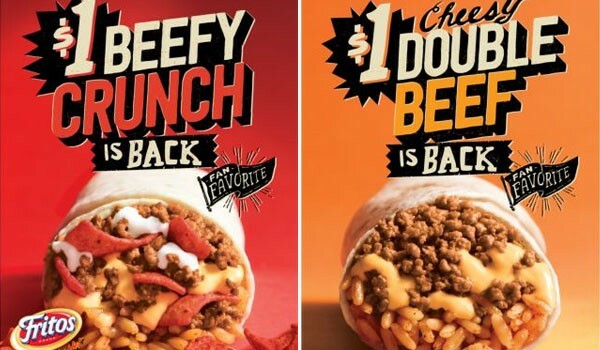 Along with the Beefy Crunch Burrito, Taco Bell is also launching the Cheese Double Beef Burrito, which is basically the same thing, but has a double portion of ground beef and no Fritos. Both will be just $1 and will be back on April 21, 2016. They will stick around for a limited time, but hopefully longer than usual.